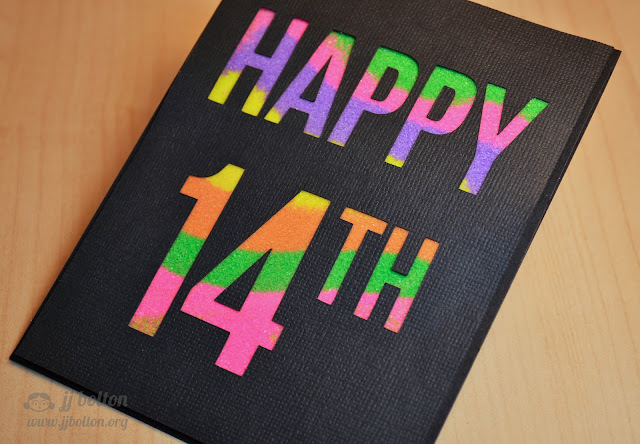 I started this card by cutting the custom sentiment onto a panel using my Silhouette. Behind the die cut panel is an acetate "pocket". The pocket is just 2 acetate panels with foam tape sandwiched between. The double-sided foam tape goes all around the perimeter of the acetate to create an air-tight pocket that you can fill with your filler material. (I left a little hole at at the top where I could add the filler) Can you guess what the filler is? Colored sand! A while back, I picked up this multi-color pack of sand at Michael's with just this kind of card in mind. 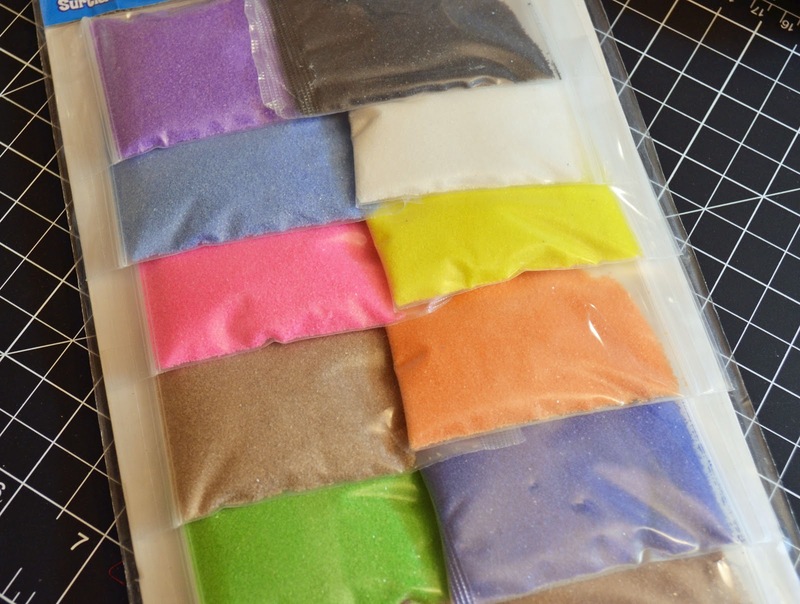 The sand almost looks like colored glitter but it's so much cheaper. So just like those sand bottles you did in 4th grade, I filled up that acetate pocket layer by layer. The fun level on this project is a 10! The trick to this project is to really load up the acetate pocket. Add the sand, shake out the air pockets, add the sand, shake out the air pockets. Loading the pocket as much as you can will keep the sand from shifting. The last step it to plug up the fill hole with a small piece of foam tape. To put the card together, I glued the die cut panel over the filled acetate pocket (make sure you glue on those small pieces inside the "4", "A", and "P"). Then I glued both of those to the front of the card base. This card is certainly not mailable (lol), but I was surprised by how well the colors stay separated! Very cool idea, and it came out looking perfect! What will she think of next?!?!?! I love your imagination. Absolutely awesome JJ!! The coloured sand is such a great design element, very funky!! And I remember the original card well - it left me quaking in my boots on how well I could possibly do if this is what I'm up against! lol! WOW, you're amazing - the things you come up with. LOVE the card. 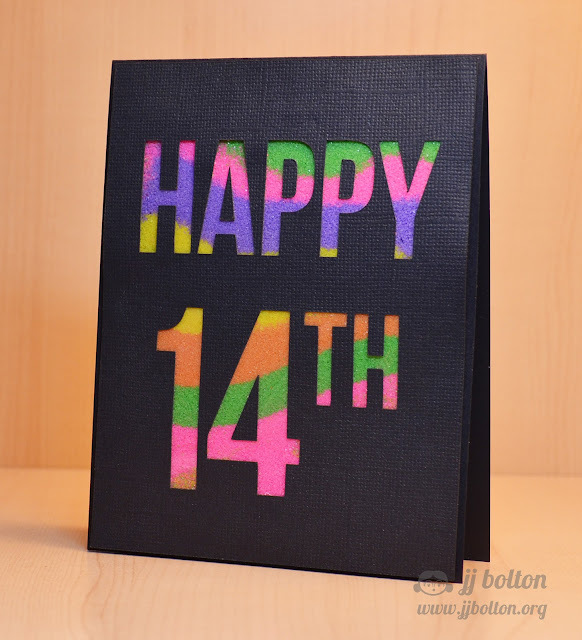 What a lot of work to create this colorful card! 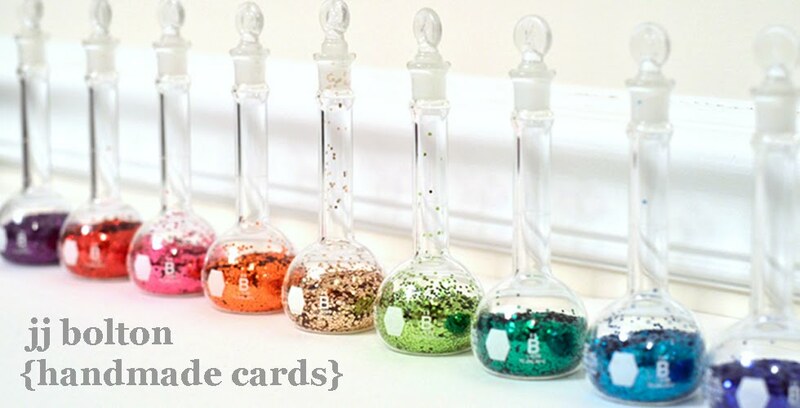 love the colors against the textured black card stock - your globe shaker card is awesome! Wicked Awesome!!! I love it, JJ! This is so cool, I remember the first card and I think your second is fabby JJ! Oh this is so much fun! I love the idea of using the colored sand!! Sand art always fascinates me too!!! the bright colours really work against the black base. Wow! This is the coolest card ever! Many Thanks & Giveaway Winner!